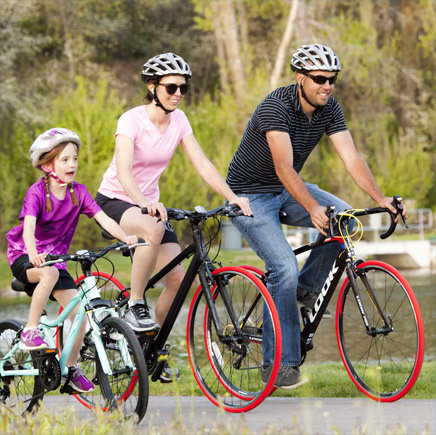 Noble Cycling demands excellence from all of its employees. This excellence bleeds over into the personal lives of the employees at times. While we might eat Costco pizza, popcorn, and the occasional riding waffle in the shop. However, all employees must abide by a strict flat-free Diet. This Flat-free diet keeps us healthy and happy to work. We encourage all cyclists and bike riders to join us in the fight against the epidemic sweeping the Utah Valley. Here are the 6 major components of the Noble Cycling Flat-Free diet. 1) Tire Liners- Without upgrading to some high-quality rubber, tire liners go a long way to protect what you value most; tire pressure. Tire liners are like a bike helmet for your tires in that they are made of a hard polyurethane strip. This strip goes on the outside of the tire in the possibility that some foreign object gets through your tire. While not a perfect solution, these bad boys will definitely get you close to that flat free body you have always wanted. We like to use RhinoDillo tire liners in the shop because they are conveniently color coated and are lighter than most of the other brands on the market. 2) Tire Sealant- Most commonly known as Goo for tires, sealant can be used for a couple of different applications. 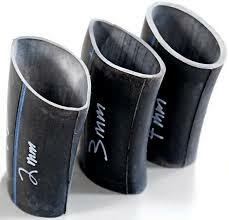 Some tires are able to be used in tubeless applications. Without going deep, these tires often have a higher TPI rating which means that it is a tighter weave of the threads. (Don't worry this will be addressed later) These tires are able to be used without a tube but must have sealant in the tire and the rim must also be set up for tubeless use. However, this sealant has a very low viscosity and will plug up holes as they happen without having to stop and change the non-existent. Tubeless also has other positive effects but we ill talk about those later. The second type of sealant is for use inside a tube and has a rather high viscosity, much like mucous. It serves the same purpose as the sealant for tubeless tires but because of the nature of a tube, it is not recommended to use tube sealant as a long time fix. It will get you home but should not be trusted for a long-term fix since the rubber in the tubes is very elastic and will eventually result in a larger hole and a bigger mess in the long run. 3) Proper Air Pressure- One of the key factors is making sure that you ride with the appropriate tire pressure. While annoying, checking the amount of air pressure in the tires before every ride will heavily increase the likelihood of a pinch flat. It will also make sure that your tire has the correct amount of contact with the road. Underinflated tires are a very common reason for cyclists not maintaining the Flat Free diet. If you have any questions about the proper air pressure, it should be listed on the sidewall of your tire. As a very general rule of thumb, road tires are normally around 100 psi and mountain bike tires range from 20psi- 60psi depending on the tires. Always check for proper inflating pressures if unsure. No one likes a blowout. 4) Extra-Thick Tubes- More rubber means more protection against thorns and such. When installing an extra thick tube, it helps to apply a light coating of talcum powder, or baby powder, because the excess rubber has a tendency to get gummy and lead to a damaged stem. Adding the talcum power allows the tube to move freely. 5) High-TPI Tires- As promised, here is an explanation of high-quality tires. Higher quality tires normally offer a high TPI which stands for Threads per inch. With a higher TPI count, the tires are stronger and are a much tighter weave which prevents flats much more effectively than a lower TPI tire. Many tire manufacturers offer proprietary flat protection in the higher end tires. 6) Tannus Tires- Now for the secret to a totally Flat Free Diet. 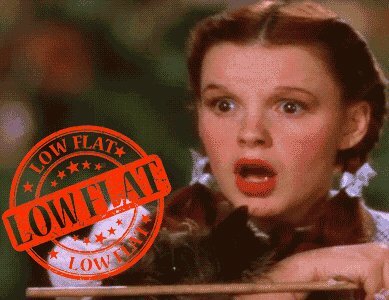 Getting a flat in indicative of losing all the air in the tire because when a tire is inflated it's round and when it is not inflated... well, it's flat. That being said the easiest way to stay flat-free is to take the air out of the equation. 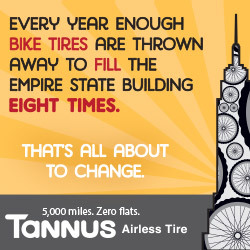 With Tannus Tires, there is no possibility of getting a flat because there is no air. Tannus tires are made from a proprietary foam composite called Aither. This product is much like the foam used in running shoes. It is guaranteed for 5000 miles and is the key to any and all Flat Free diets. Whatever you decide to do. Noble Cycling is here to help you achieve all your cycling goals. The goal that we have for every cyclist is to be Flat Free. Flat-free is the way to be. Also, you better believe that while writing this my autocorrect tried to change a flat- Free diet to a fat-free diet. While it might be able to spell better than I can, autocorrect will never know what it means to be flat-free and riding off into the sunset.